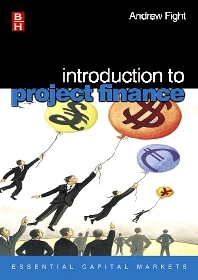 The term "project finance" is now being used in almost every language in every part of the world. It is the solution to infrastructure, public and private venture capital needs. It has been successfully used in the past to raise trillions of dollars of capital and promises to continue to be one of the major financing techniques for capital projects in both developed and developing countries. The author differentiates between recourse and non-recourse funding, tackles the issues of feasibility, identifies the parties normally involved with project finance plans, and details techniques for realistic cash flow preparation. Andrew Fight is an international banking and training consultant with 20 years banking and finance experience and has trained in Banks and financial institutions throughout the world as well as in the U.K.
His expertise is in all aspects of Corporate Credit, Analysing Banks and Financial Institutions Risk, Syndicated Lending, and Project Finance, and he has an ongoing research interest in Debt Recovery and the roles of Credit Rating Agencies in the investor creditor community. Andrew has written and developed course materials for both tailored and public courses for Euromoney Training, BPP Financial Training, Intellexis Training, the French Bankers Training Institute, Bankakademie in Germany, and aid programmes for the European Union, USAID Eurasia Foundation, and Asian Development Bank. He has also written a dozen books on Banking and Finance related subjects for Euromoney Publications, Wiley and Sons, Express Exec / Capstone Publishing.